For the past two weeks in our adolescent health course, sixth graders discussed self esteem and self image and how to build one's self esteem based on intrinsic values and goals, rather than one's appearance. We watch a Ted Talk about a young woman named Lizzie Velasquez who was born with a rare syndrome that has left her blind in one eye and unable to gain weight. As a young girl, she was often teased and was once deemed by social media as "The World's Ugliest Woman". Lizzie talked about how she let her goal define her and not the cruel words or judgments from others. She used the negativity of others as "fire to fuel my goals" and encouraged others to do the same. Students responded to five writing prompts about who they are, what defines them, what their goals are, what they thought Lizzie's message was, and what message they would have for Lizzie. Their answers were thoughtful, insightful, and sincere. 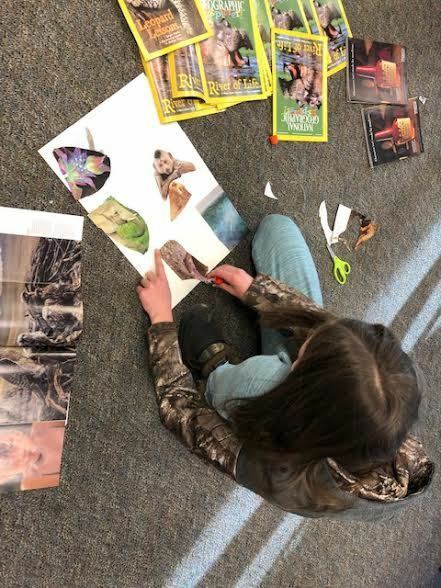 We have since begun the process of creating image collages, where students are using pictures to describe who they are, what defines them, and what their goals are. I expect these self images will be just as thoughtful, insightful, and sincere, as we continue to examine what we use as fire to build self esteem in a healthy, positive way. Stay tuned for a display of those collages in the next few weeks, which will be located on the bulletin board outside of the downstairs meeting room.